QCA Spas is one of America’s oldest spa manufacturers in business since 1966. Hot Tub Outpost is your best online source for all QCA spa replacement parts with quick shipping and the best prices. With a worldwide network of dealers and as a key supplier to many dealers and chain stores such as Meynards, Home Depot and Sams Club, QCA Spas represents high quality at affordable prices. QCA selects the best components in making their spas. From Lucite ABS backed acrylic which is one of the two largest producers of hot tub acrylic material, to the most advanced Balboa hot tub controls with advanced sensors to keep problems with the spa to a minimum, quality components and a refined manufacturing and testing process helps minimize problems with new spas. QCA Spas are grouped into different series with the Paradise and Majestic Series representing the very high end. Download the QCA Spas Paradise Manual here. There are also the Dream Series, Jewel Series, Performance Series (no blower spas), Star Series and a few gems that are custom made as well. QCA Spas accessories and parts from replacement pumps, heaters, blower, controls or cover lifters, replacement covers, spa games and accessories are available online at HotTubSpaTips.com. Parts needed may vary from a replacement ozonator chip or ozonator, blower, pump, light bulb, fuse or even a heater or entire spa pack. You will also find these factory original discount QCA Spa parts at factory direct deep discount pricing online. The best way to get a replacement QCA Spa filter is to measure the dimensions of the filter. Measure length, outer diameter and inner diameter of the center hole. QCA Spas filters do not have threaded ends or end caps, so they are easy to source. Send us an email to info@discounthottubspas.com and we will get you the best deal on QCA replacement spa parts. Typically they use 35 sq. ft. filters, 50 sq. ft. filters and even the long 100 sq.ft. filters in the higher end models. One trick on many of the mid-sized spas that use a 25 sq. ft. filter is that you can also get a filter with twice the filter media (filter paper) and hence twice the filtering capacity that comes in exactly the same physical size as the 25 sq. ft. filter one, only it is 50 sq. ft.
QCA Spa heaters are replaceable as complete units. This means you replace both the heater element, any built-in sensors and heater manifold at the same time. The repair is easier than trying to replace just the filter element, which can cause issues with breaking the epoxy seal at the heater terminals or other issue. Be sure to drain the hot tub and turn off all power prior to attempting a heater replacement. By ordering a complete heater, you will also get 2 new heater gaskets that prevent water spillage from the heater unions on either side of the heater that hook back up to the existing 2″ spa plumbing. QCA Spas has used Balboa spa packs and heaters for many years, and they are the trusted leader in hot tub electronics. Read more on our blog if your hot tub needs a new heater. Note that jet internals can be replaced with like-sized internals, but QCA Spas has used a few different types of jets over the years, so the best thing to do is send us a picture of the jet insert you need and we will send you a link with part number and price for it, to be sure you get the correct replacement. Some jets are stainless steel while others are standard grey or two-tone. Earlier spas will have earlier versions of Waterway jets. Also note whether you require the entire jet (front and back) or just the jet insert. If you need the jet back, then glueing will become necessary along with silicone around the jet gasket. Learn more about hot tub hydrotherapy jets on our blog. Spa sprung a leak? If the hot tub was fully foamed, then the service bill could well exceed many hundreds of dollars to replace a $2 part. For QCA Spas owners, good fortune is smiling upon you because all of the side panels around the entire perimeter of that brand and make spa are removable, so the leaky location can be detected and repaired. Before working on any spa, power down the circuit breaker and spa to avoid shock or injury. That being said, only qualified personnel should work on hot tubs just as only qualified persons should work on any appliance or electrical device. 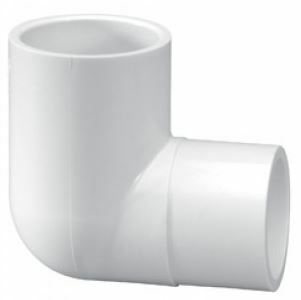 For qualified persons, the job of repairing a leaky jet, connection or manifold is as easy as finding the leak, identifying all the PVC parts needed to make the repair and then ordering the right parts. Read more about fixing hot tub leaks and PVC repair at our blog post entitled: Hot Tub Plumbing Repair Parts.